When I had the idea to sort out our guest room, set the bed up for visitors (finally!) and make a workspace area for my LarabeeUK supplies I thought it would take me a couple of weeks to get sorted! Little did I realise that way over a month later I'm only really just finishing organising everything into holding boxes! So if you are looking at the photo above thinking 'makeover!?!?' I wouldn't blame you in the slightest, I'm a long way off the full project! 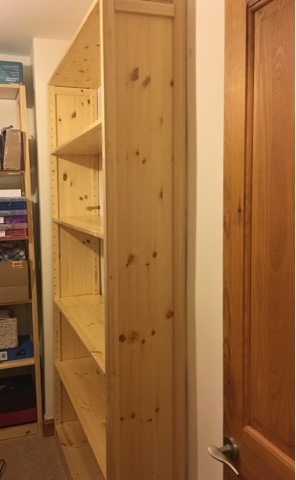 For phase 1 the aim was to install some shelving to accommodate all of my blogging and project supplies. I worked with the fantastic people at Shelfstore for the shelving and my goodness what a difference it makes! This room quite literally was a dumping ground, we just opened the door and threw things in there. Installing a high quality shelving system was top of the agenda so that I had somewhere to put all of my supplies. This space has to suit 2 functions with storage taking prescedance and the bed really an added extra (although T has already decided he's going to sleep in there as 'it's so big!') if eventually there's somewhere for me to have my laptop and printer, that too would be great, the beauty of this shelving system is that it can be moved around to accommodate this. The shelving is amazing! Exactly what we needed, really easy to put up and looks better than I thought we'd get. This is a relatively small room and so I wanted to make sure that I made the most of all areas. 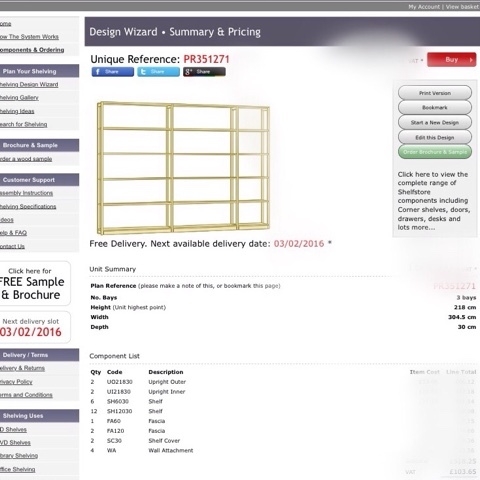 I measured my room and worked out the dimensions to make sure I got the maximum storage, I went online and ordered the shelving. 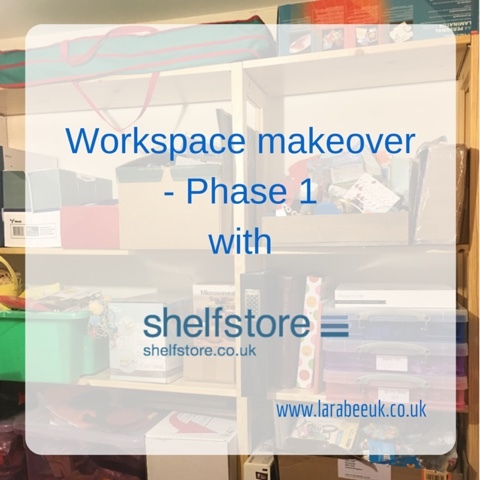 Ordering was incredibly quick and easy following the clear instructions on the Shelfstore website and in no time I'd created my shelving system using the 'design wizard' and ordered the parts I needed to makeover my workspace. You can save your design and edit at any time before you order, which is great for double checking and making sure that you have your plans right. Upon ordering I was immediately contacted by Shelfstore with details of delivery within a few days. The shelving was all delivered on the promised date and straight away I set about putting it up. 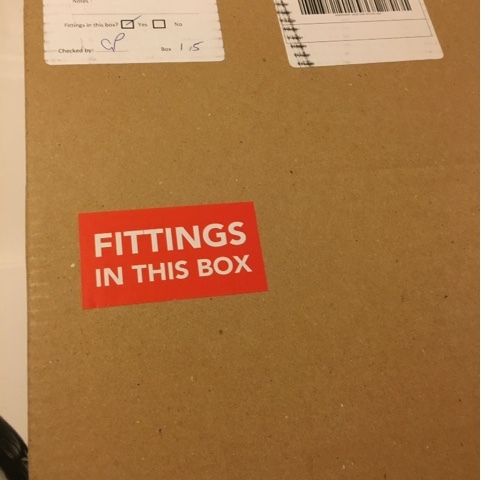 Each box was marked with the contents and the box containing the fittings was clearly marked - genius! Now I ought to say here that I actually planned to do this on a weekend where my husband was away, this could have been a complete disaster right? But no, because of the amazingly simple system I had no issue at all in installing this shelving by myself. The whole system is held in place by 3 wall brackets. 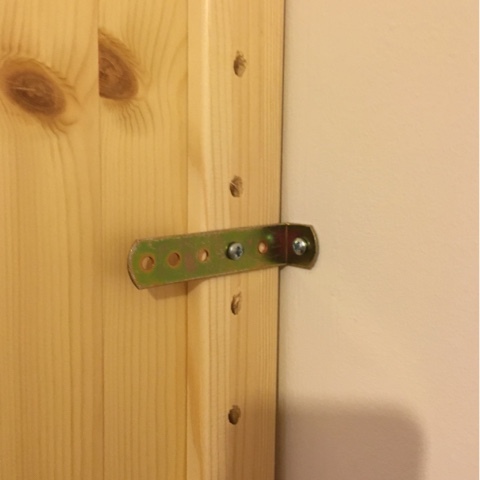 So the only real 'diy' involved was for me to drill the 3 holes. 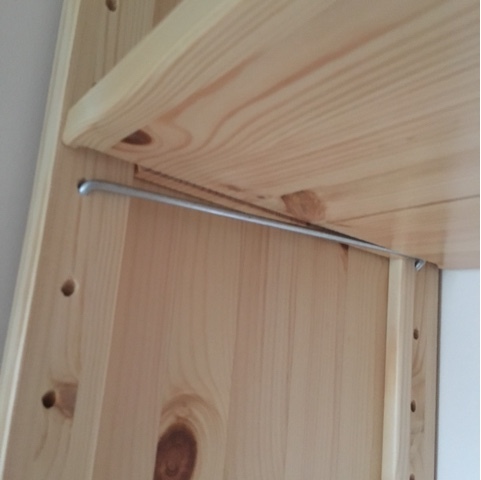 The moveable shelves are held in place with metal brackets which are incredibly simple to attach and rest the shelf on. The facia was really easy to fit too, simply by screwing into the bottom shelf. 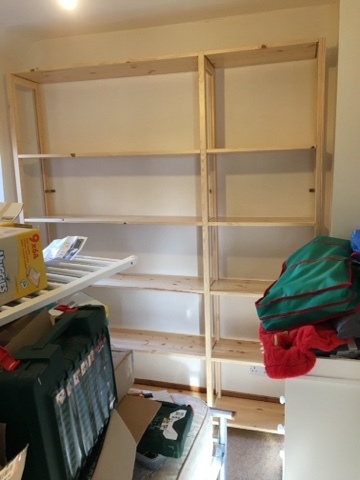 I had these shelves up in no time at all and only needed a screwdriver and drill to complete the project. Sadly the room is so small I struggled to get photos good enough to do the system justice. They are made of really high quality wood and look fab, I can wait to get some prettier storage containers on them. As you can see, there's a very long way left to go, but I do now have somewhere to store my supplies, I'm now working on getting them organised, getting the bedding sorted out and setting up an 'office' area. 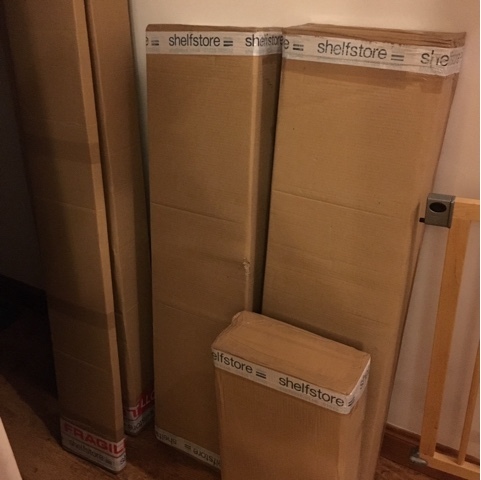 Disclaimer: we were provided this shelving by Shelfstore in return for our honest review. Oh the shelf looks fab!! I can not wait to see how you fill it up! Way to go!